Just north of Carmel is the thriving town of Westfield -- named by CNN Money as one of the Best Places to Live in America! 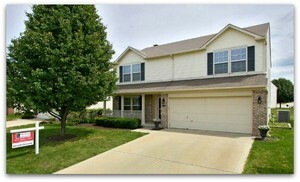 Westfield is popular for its outstanding schools, affordable homes and proximity to Carmel and Indianapolis. Numerous recreational opportunities in Westfield contribute to its appeal. The new Grand Park Sports Campus hosts championship level field sports including soccer, field hockey and softball. The Asa Bales Park is located in downtown Westfield and features a children´s playground, paved trail system, and shelters for parties and picnics. You will also find golf courses, fitness centers, parks, restaurants, biking trails, and more throughout Westfield. And if you can´t find it in Westfield, Carmel and Noblesville are only minutes away! Founded in 1834, the town of Westfield continues to retain its small town charm. Westfield played a significant part in the rich history of Indiana and America. The downtown area of Union Street and Main Street consists of many historic buildings that reflect the town´s history as a Quaker settlement and key stop on the Underground Railroad. Westfield properties are popular because of the town´s easy access to Noblesville, Carmel, and Indianapolis without the hustle and bustle of city living. Westfield real estate ranges from affordably priced single family homes to gorgeous custom homes in the Bridgewater golf course community.